Et flavam impavidus per mare scandit ovem. Coniugis aut servi quem regit arbitrium. 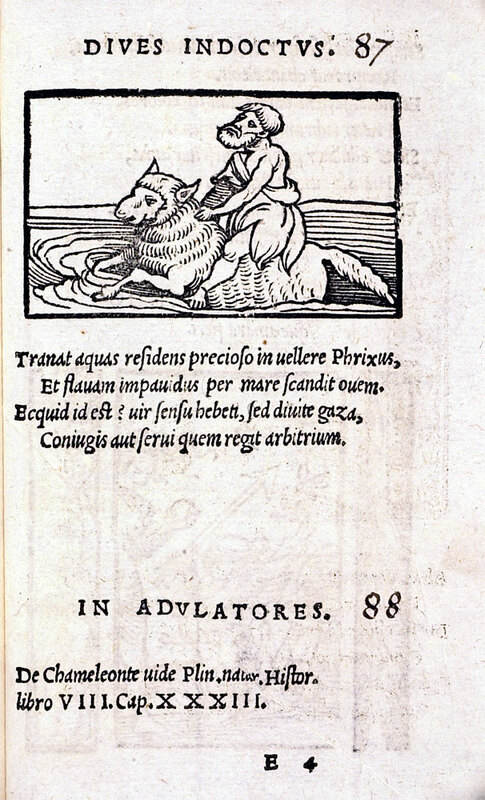 Phrixus traverses the waters astride the precious fleece and fearlessly rides the golden sheep across the sea. - Whatever can this be? - A man dull of sense, but with rich coffers, whom the whim of wife or servant rules. 1. 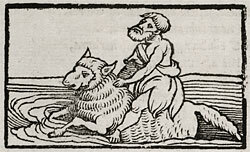 For the story of Phrixus and the Golden Fleece see Ovid, Fastii 3.851ff.